Not all therapy companies are created equal. Providers need a rehabilitation partner who is client-centered and focused on the goals of the organization. As health care continues to evolve, your therapy company needs to walk beside you — and even a little ahead of you — to bring solutions, navigate change and anticipate needs. 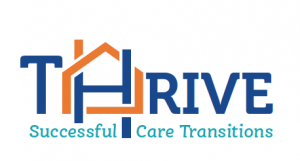 THRIVE was developed by a collaboration of HTS therapists, partner communities, nurse practitioners and physicians to create a robust, turn-key system to implement successful transitions of care. This program is designed for post-discharge from skilled nursing back into the community, or to a senior living campus. THRIVE is evidence-based and focused on empowering and equipping each member of the care team with the necessary tools to promote the best outcomes for each patient. Alarms provide a false sense of security and may actually be a contributing factor to falls. In 2009, CMS issued new Quality of Life Survey Guidelines calling the use of alarms an institutional practice nursing homes should strive to eliminate. 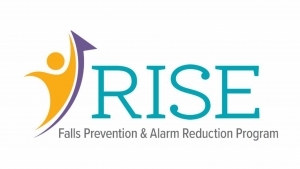 HTS’ RISE Falls Prevention and Alarm Reduction program focuses on educating the IDT on the consequences of alarm use, strategies to create a proactive culture that anticipates and addresses patient needs, and a process to apply root cause analysis to fall prevention ultimately eliminating the use of alarms. The HTS proprietary and comprehensive ACT Pain Management Program encompasses all aspects of the interdisciplinary team to address pain in the skilled nursing setting. Research shows that older adults are more likely to suffer from arthritis, bone and joint disorders, back problems and other chronic conditions. Pain left untreated or inadequately addressed in the elderly can have a negative impact on the health and quality of life, resulting in depression, anxiety, social isolation, cognitive impairment, immobility and sleep disturbances. Embracing the Cognitive Spectrum is a complete guide offering an interdisciplinary approach to person-centered dementia care. Our 13-module approach focuses on recognizing and reinforcing the use of remaining abilities through the use of formalized testing. Therapy and other care partners can adapt activities, modify the environment and implement appropriate communication strategies to enhance function and provide solutions for meaningful life pursuits. Originally designed to meet needs of partners within the Comprehensive Joint Replacement (CJR) Bundle, HTS’ proprietary Fast Track Bone & Joint Recovery program is designed to accelerate healing for patients recovering from a joint replacement, fracture, or injury. Focused on lower length of stays and optimal recovery, our delivery offers a quick start of therapy and a monitored protocol for recovery. Therapy programs are intensive and provided up to 7 days a week, and BID if appropriate and tolerated. Using the most successful therapy treatments with proven results, our programs are reducing healing time when possible. The ability to recognize and plan for the patient’s ability to self-manage their medications when returning to the community is key to a successful care transition. Identifying abilities needed for medication self-management is critical to reducing hospital readmissions. Occupational Therapy has an important role in determining physical and functional cognitive capacity of a patient to self-manage medications. Occupational Therapy assessment information is useful in care planning, discharge planning, interdisciplinary team (IDT) conferences, and caregiver/patient training. Therapy expertise and intervention is a key factor in improving quality. Therapy can have a direct impact on quality and outcomes. This program focuses on utilizing rehab services to assist in improving specific quality measures. The Star Quality Improvement modules act as a turn-key guide for therapists to implement as opportunities arise for improvement. The program includes 7 modules that correspond to the short and/or long-term quality measures. The application of this program is suitable for a single therapy department in addition to integrating within the interdisciplinary team. Currently, facility ratings for quality measures are based on performance on 16 of the 24 quality measures that are listed on the Nursing Home Compare website. There are 9 long-stay measures and 7 short-stay measures used for the quality rating.